Addis Ababa, Jan 31 (DPA) The leader of what will become the world’s newest state this year, Southern Sudan, Monday promised a peaceful transition to independence after results showed voters had overwhelmingly chosen to split from the north. Official preliminary results released Sunday showed 98.83 percent of almost 4 million voters had opted to secede from Sudan in a January referendum. The vote was enshrined in a 2005 peace deal that ended decades of civil war between the mainly Muslim north and Christian and Animist south. More than 2 million southerners died and 4 million were displaced in Sudan’s 1983-2005 north-south civil war, which was essentially a continuation of the 1955-72 conflict that followed independence from joint British and Egyptian rule. 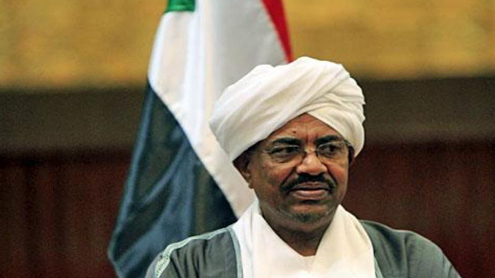 The referendum process had raised fears of a return to conflict, but al-Bashir and his northern party have allayed these concerns by saying they would accept the south’s decision to secede. Now attention is turning to a raft of outstanding issues that need to be resolved before the autonomous Southern Sudan becomes a state by the middle of this year. The final demarcation of the north-south border, which bisects Sudan’s oilfields, and the status of the restive border region Abyei are two of the most-pressing issues. While much of the oil is in southern hands, landlocked Southern Sudan needs the north to export the commodity through its pipeline to the Red Sea. Northern Misseriya tribesmen are concerned if Abyei goes with the south then their traditional migratory grazing paths will be cut off, and this has prompted violence. Fighting in Abyei between the Misseriya and southern Dinka Ngok claimed more than 70 lives as the referendum got underway. A separate vote on whether the region goes with north or south has been delayed. ‘The survival of both the north and south requires agreement on oil-revenue sharing,’ Ban told the meeting. ‘Borders must be agreed and demarcated, while also allowing traditional migration.’ Ban said he was concerned by the violence, and called on the signatories to the peace agreement to ensure there was no further fighting.